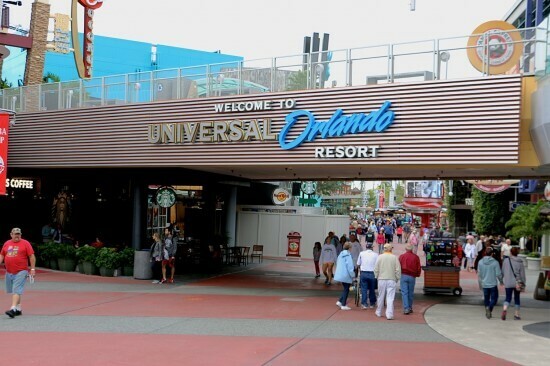 This week’s ParkSpotting adventure brings us to Universal Orlando for a quick trip through CityWalk and into Universal Studios Florida. 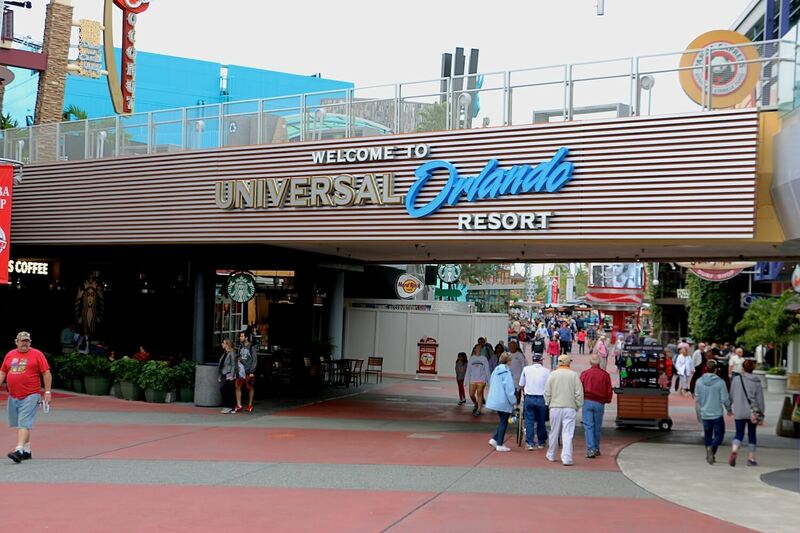 Immediately upon entering CityWalk, a large new Universal Orlando sign greets guests, far more eye catching than its predecessor. The Cowfish recently began offering lunch service, so I stopped by for a burger. Unfortunately, it seems slow service seems to be a common problem for this restaurant and after 35 minutes of waiting, a glass of water is all I had in front of me. I left without food. 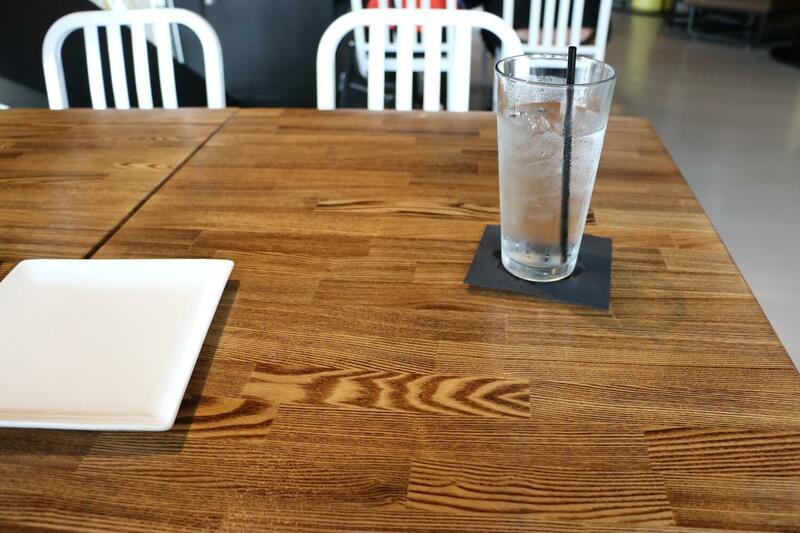 There were only a handful of other tables with customers, so I’m not sure why it took so long. 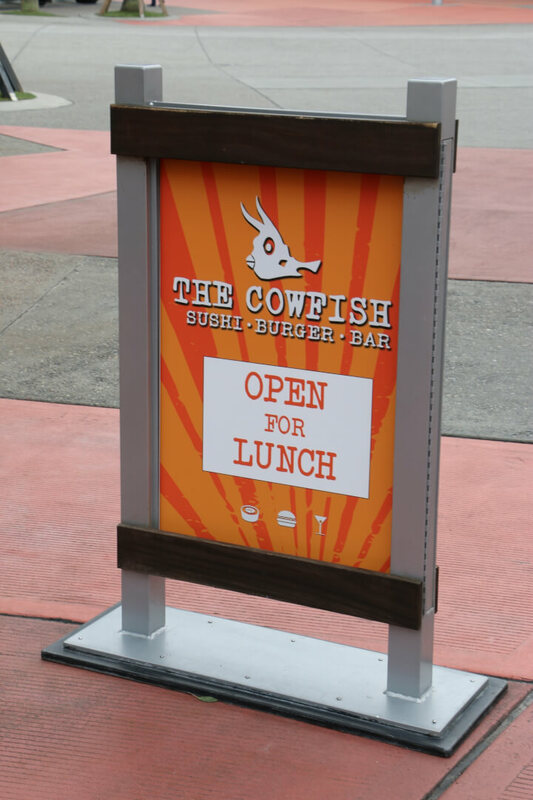 The food at The Cowfish is great, particularly the burgers, so I’ll have to come back for dinner another time. Diagon Alley is certainly still the must-see for every trip to Universal Studios Florida. 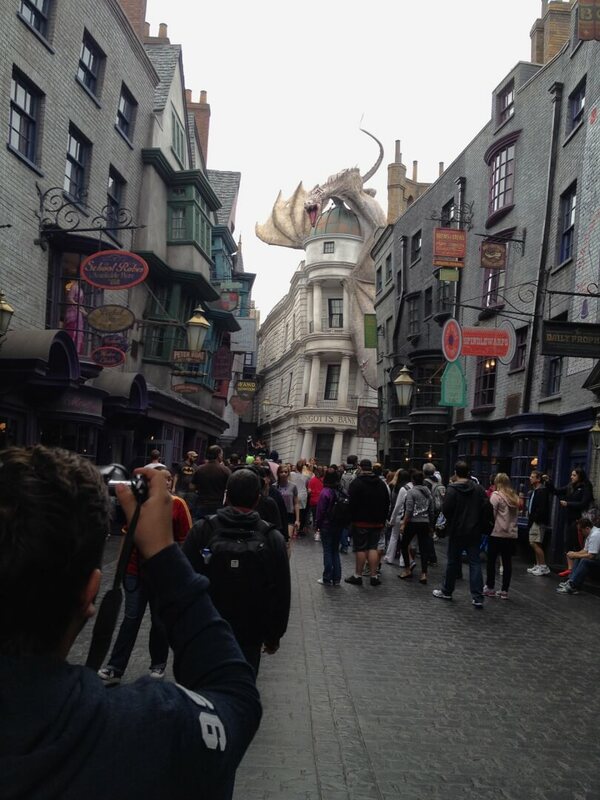 Crowds were quite reasonable, with everyone still gawking at the fire breathing dragon overhead. Always impressive. 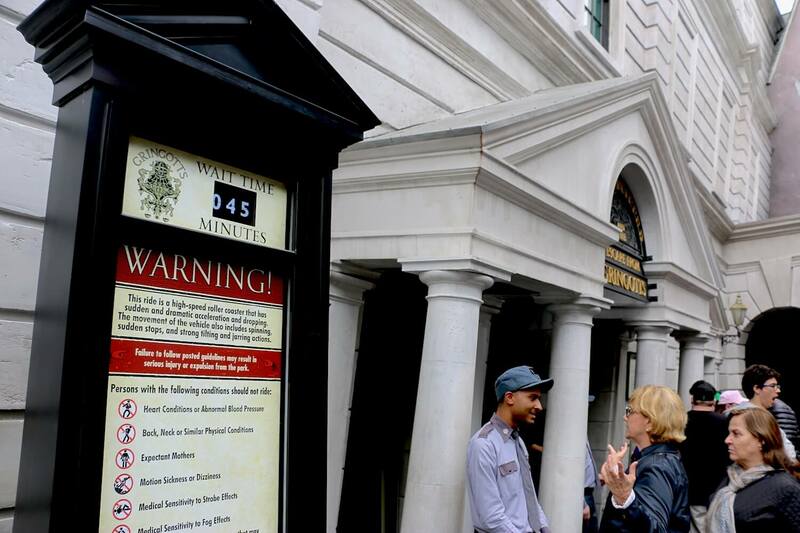 Harry Potter and the Escape from Gringotts was posted at only a 45 minute wait, a perfect time to hop into the single rider line for an even faster trip onto the ride. It was my first time taking the single rider line, which offers some different views of the queue, including the backside of these goblins. 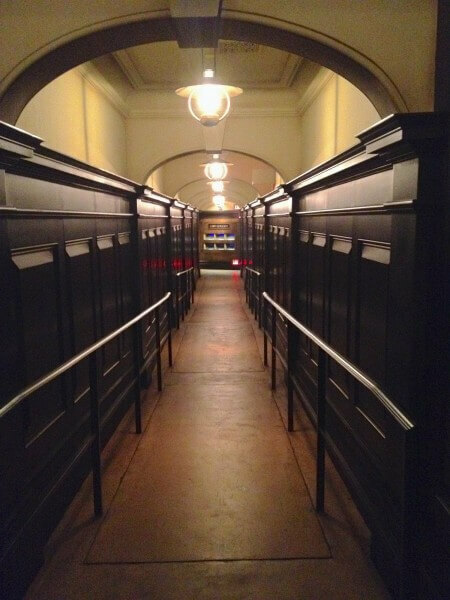 There’s a great long bank hallway behind them just for single riders. Ultimately it took just 20 minutes to step into a ride vehicle. Not bad at all. I rode in the very back row of the back car for the first time and definitely had a different experience. I saw a few things I’d never noticed before and felt the ride’s forces more strongly. Really fun! 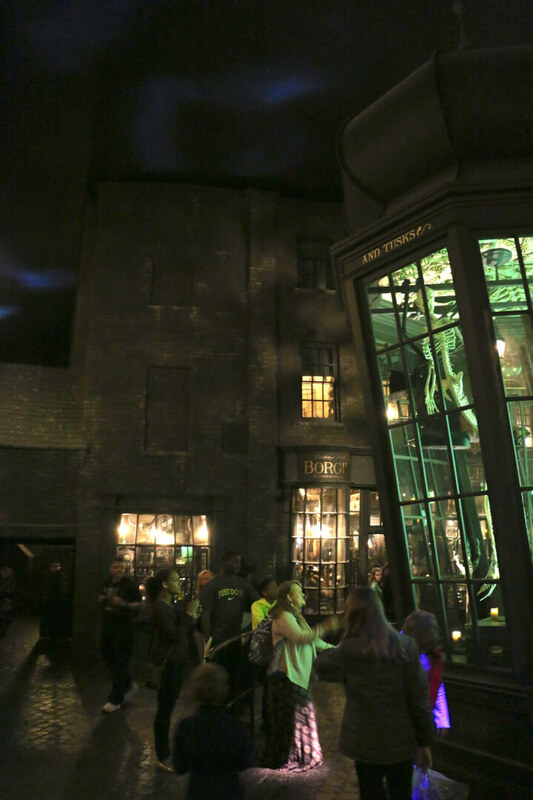 No trip to Diagon Alley would be complete without a walk through Knockturn Alley, which still delights guests with the interactive wand experiences. 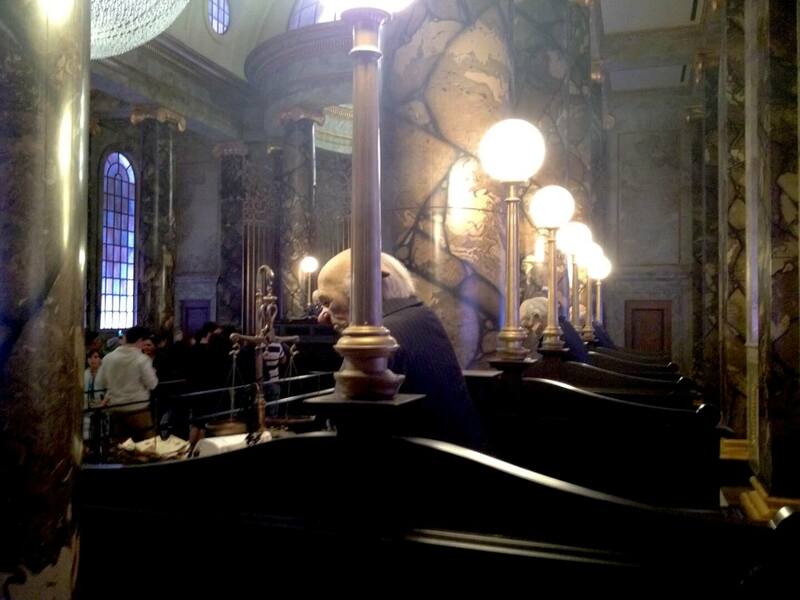 Wizards are still stationed throughout to aid in instructing guests how to cast their spells. A stroll through Springfield left me wondering what the Universal Studios Hollywood version of “The Simpsons” hometown will be like. It seems like California’s getting an even better version of the experience. Now that it’s 2015, I was hoping to bump into Doc Brown fresh from a trip from the past. 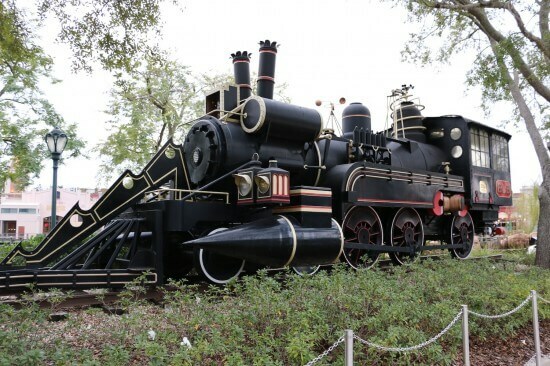 But instead I only found his time traveling train and DeLorean parked outside Springfield. A larger than normal crowd seemed to gather around the DeLorean, with many guests talking about the year and our lack of flying cars. 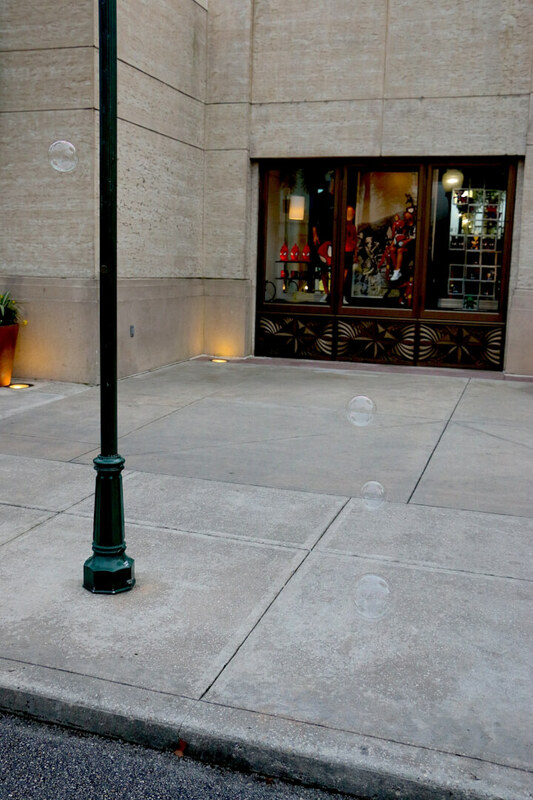 One guest was even audibly agitated, yelling that he’ll be mad if he doesn’t have a working hoverboard by October 21. We’ll see how that goes. 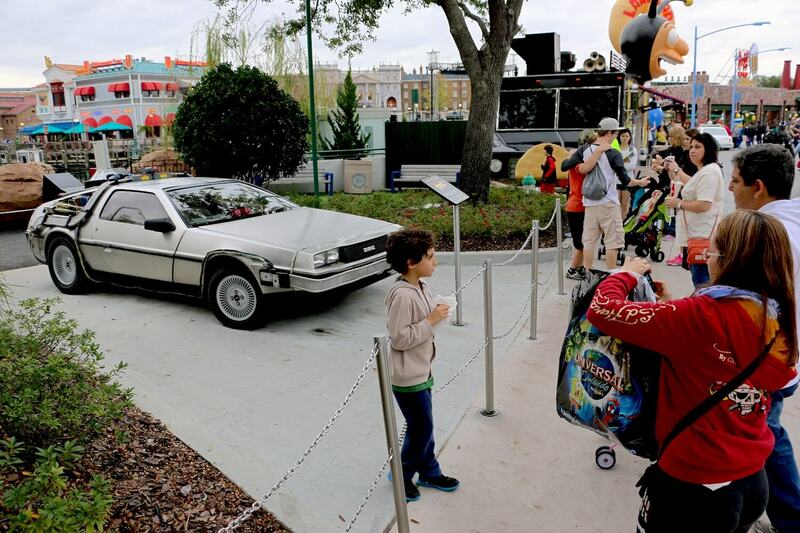 Hopefully Universal Orlando will honor that “Back to the Future” date later this year with some kind of special event. Some “set enhancement” walls are up near SpongeBob Storepants. Nothing too exciting. Down the road, Terminator 2: 3D remains one of my favorite theme park attractions of all time and it’s always great to see the attraction’s costumes on display in its store. 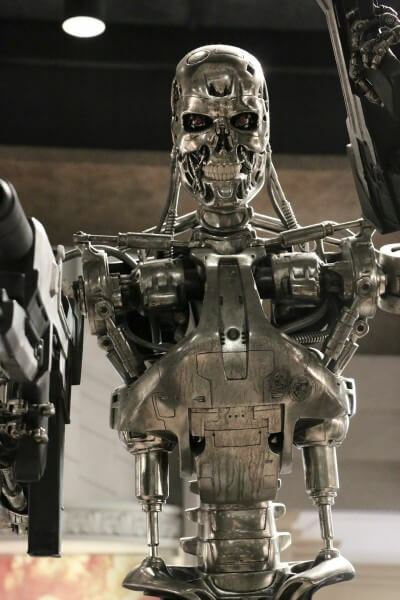 Some day I will own a life-sized Endoskeleton. 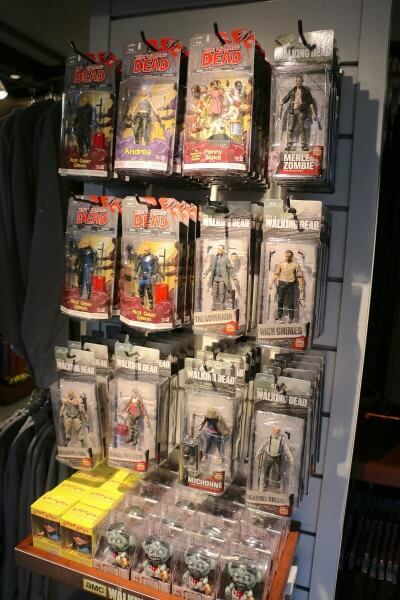 Halloween Horror Nights hasn’t completely left the park with “The Walking Dead” action figures fully stocked here. 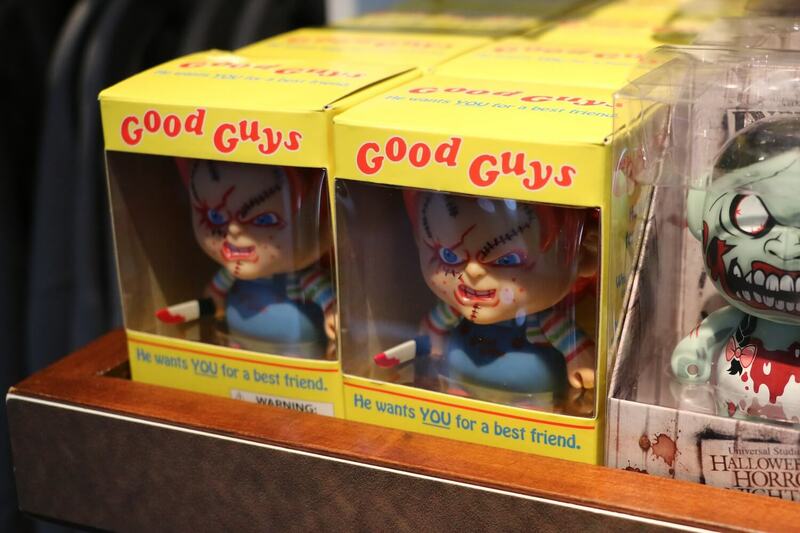 Also still hanging around are zombie and Chucky vinyl figures. Superstar Parade still entertains Universal Orlando guests daily, even if no one is quite sure why “Hop” is included. 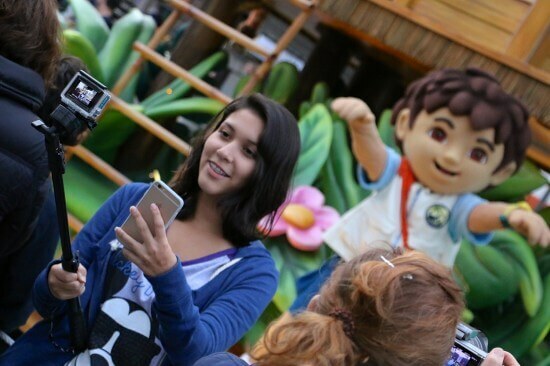 Selfie sticks are rapidly growing in numbers around the parks. While they are often a nuisance, this girl properly used one to capture a great shot of herself with Diego in the parade. And the bubbly remnants of the parade floated away. 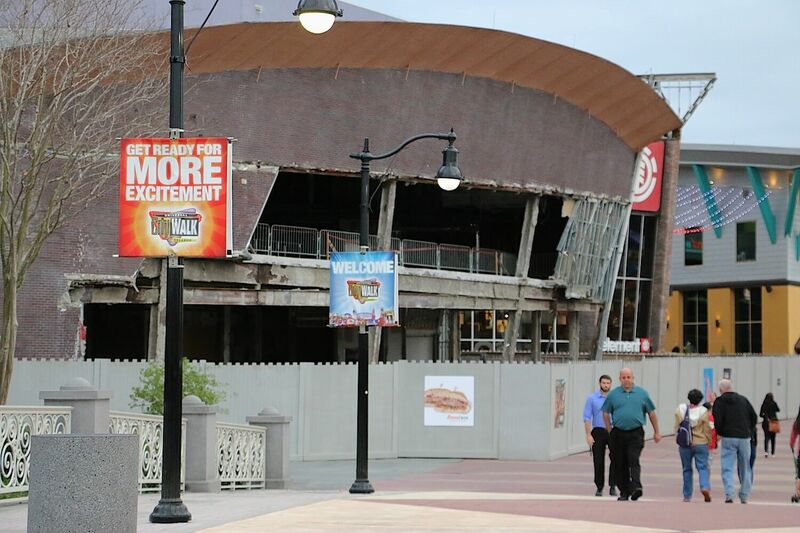 Outside the park, we look to the future as the NASCAR Cafe continues its aesthetic destruction to make way for a future restaurant, rumored to be NBC-themed. That wraps up this ParkSpotting trip through Universal Orlando. 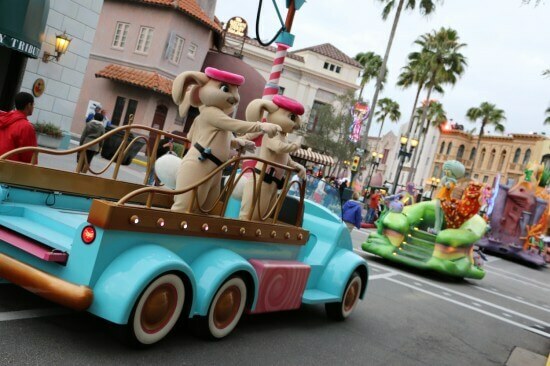 Come back for another trip through the parks next week! They’re still promoting “Hop”? Wow, that’s more stubborn than Crash Bandicoot! 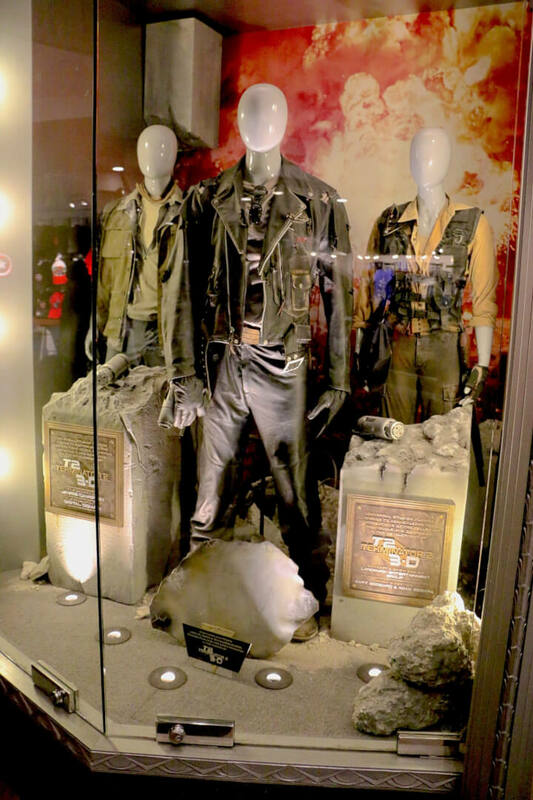 I wish the Terminator attraction should be close down because I do know that the Terminator series are all R-rated, meaning they’re not family-orientated. 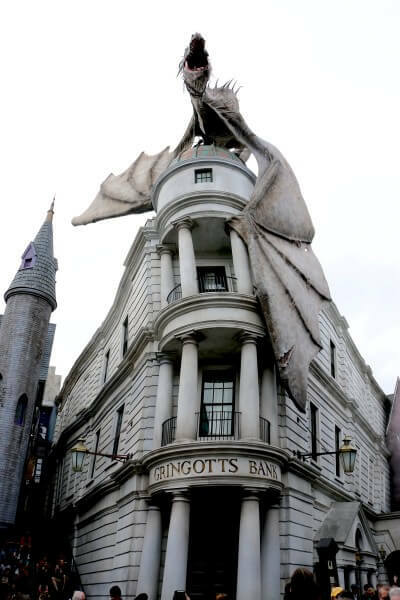 And Universal Orlando is always homed to family attractions like other theme parks so I would suggest them to close it down and replace something else, what’d you think? Well, if Avatar Land existed in 2016 or 17, I know that land is going to flop since “Avatar” is PG-13 rated and Disney fans and as well as families will freak out seeing the land based on a movie with adult content (Avatar) in a Disney theme park, won’t it? I’d say that Avatar should move to Universal Studios and Disney should do Disney stuff for their parks from now on. And as well if Universal could close down Terminator, they could announce that they will no longer to do attractions and rides based on R-rated movies ever again. And I know for sure that kids, under age of 17 or 18, will eventually get curious about Terminator and parents will freak out and get real mad after seeing their kids watching Terminator (a movie series with adult content). 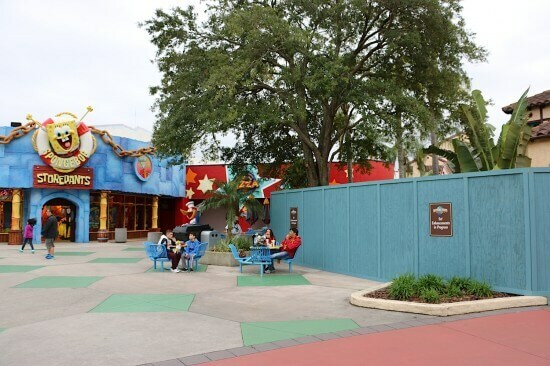 If Universal could close T2-3D, I bet they would replace and re-theme it into a Toy Story Mania-style interactive ride based on Angry Birds franchise. The world loves Angry Birds. 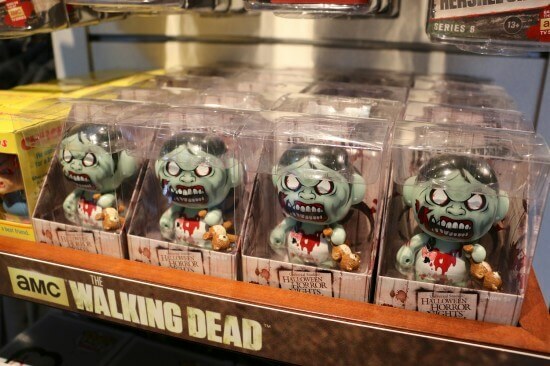 Wait, so…they DIDN’T replace T23D with Minion Mayhem? Well, what did it replace, then? Well, since that’s a case from christopher, I think the Angry Bird ride would replace the Twister ride at some point, don’t ya think? really? “Set Enhancements”?? Lol “nothing too exciting”?? A museum sounds pretty exciting to me.. Okay, can you pick in this list what new themes that would replace Twister at some point? 1. a 4D show based on Jim Henson’s Fraggle Rock. 4. an animatronic show based on either BBC’s Walking with Dinosaurs or DreamWork’s How to Train your Dragon. They’re apparently replacing Twister with a Fast & Furious ride, which has adult content!! The Mummy, Harry Potter, Jurassic Park, JAWS, all films that have some adult content yet are (have been) popular rides at Universal. 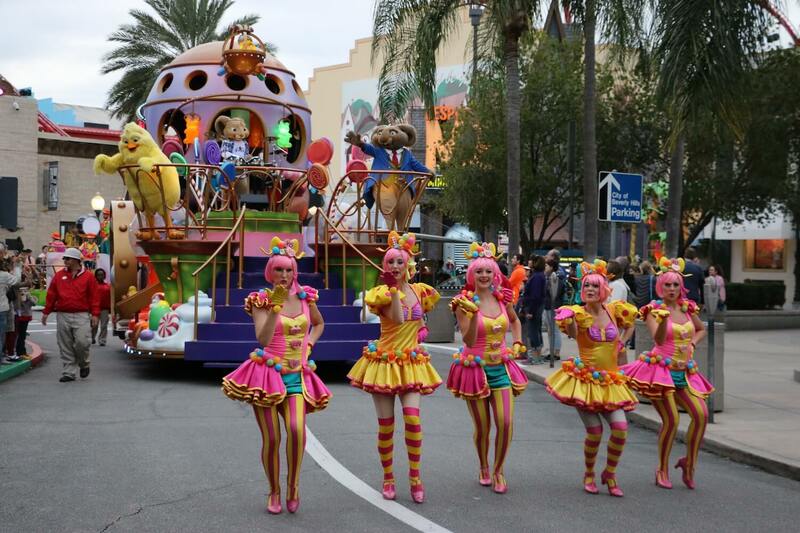 They will always have rides like this to entertain all ages! It’s a parents responsibility to prevent their children from watching these films, however the PG rating is only a guide to cover Cinemas and retailers from prosecution. If you don’t want your children to ride it, don’t let them….simple! If it were up to me I’d rip out the Simpsons and put back Back to the Future the Ride where it belongs. I agree with Dave. Back to the Future is classic and even my 2 teenage sons and pre-teen daughter agrees. Bring it back!! !